Although it is not common, dogs can also get a certain reaction when they come in contact with poison ivy. If you love hiking or camping together with your dogs, remember to protect yourself as well as your dogs from the scourge of poison ivy. Dogs were seldom got an irritation from poison plant especially those with longer and thicker coats. It will most likely affect areas with minimal fur. Hairless or short-haired dogs are more likely to develop clinical signs because the toxin in poison ivy known as “urushiol” can easily get to the dog’s skin. The reaction may not occur immediately especially for dogs with a medium or thick coat. It may take longer for the oils that cause the reaction to reach the skin. Remember, even if a dog shows no signs of inflammation or irritation after coming into contact with poison ivy, poison oak, or poison sumac, never touch anything without proper protective clothing. Whether you’re going for a walk or a hike, keeping dogs safe from poison ivy and poison oak is important. However, there are no vaccines or medications available that can prevent your dog from getting poison ivy. The best way to keep your pup safe is prevention. Learning what poison ivy looks like and other poison plants, where it’s commonly found and how they affect a human being. Be aware of your surroundings, especially in wooded areas, and you will have an easier time avoiding the poison plants. Observe your dog and keep an eye on where it is sniffing and roaming. Also train your dog properly to come to you as soon as he is called. Limit his exposure. Try to limit its outdoor time to cement sidewalks and manicured grass lawns or surfaces without green vegetation, such as sandy beaches or pebble-landscaped yards and parks. Another way to prevent your dog from frolicking through poisonous plants is to always keep your pup on a leash. This gives you control over what your dog is getting into. After an exciting and fun hiking and camping with your dog, follow the steps below if you suspect that your dog has come in contact with poison ivy, poison oak, or poison sumac. Wear rubber gloves to protect your skin from coming in contact with the oil. 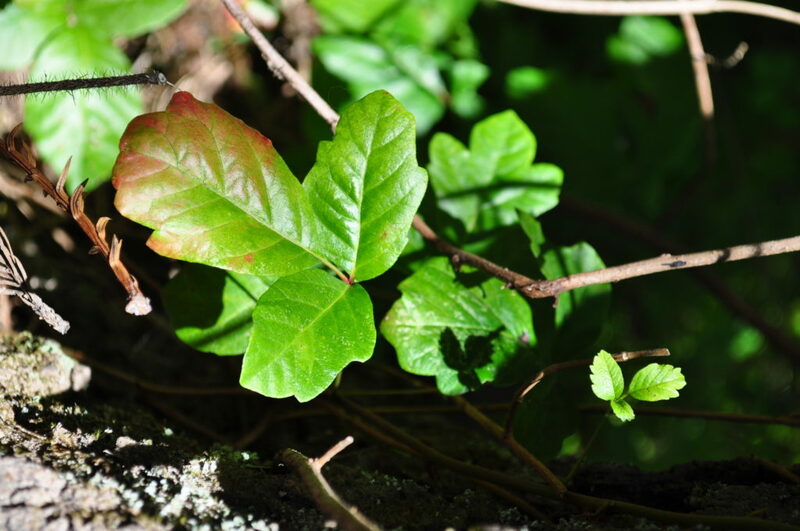 Use a barrier cream, such as pre-contact poison ivy lotion, on your arms and skin not protected by gloves. Bathe your dog in lukewarm water and shampoo his coat with a mild pet shampoo. Rinse your dog thoroughly to ensure all shampoo is removed from their fur. Let the water out of the tub and re-bathe your dog again in lukewarm water using a mild pet shampoo and rinse it thoroughly to remove as much of the plant’s oil from the dog’s coat as possible. It’s recommended to repeat shampooing and rinsing three times. Pat towel to dry your dog. Wipe down the tub and wash all the towels, rugs, washcloths, your clothes and soft furnishing that came into contact with his coat to ensure the oils won’t be transferred anywhere else. 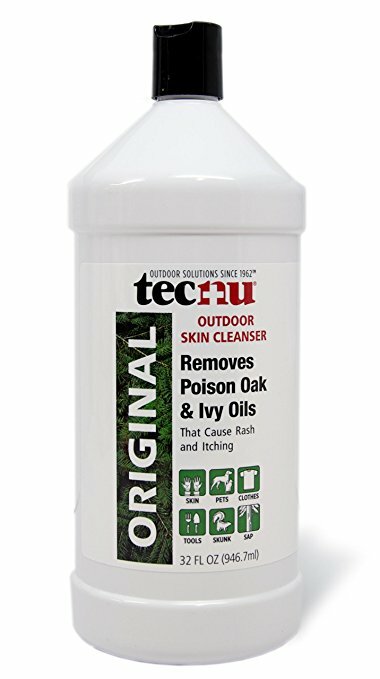 You can also use Tecnu Original to remove the urushiol (the oily toxic irritant found in poison ivy) from your pets. If the reaction your dog suffers seems severe or does not seem to be settling you, take your dog to a veterinarian immediately. 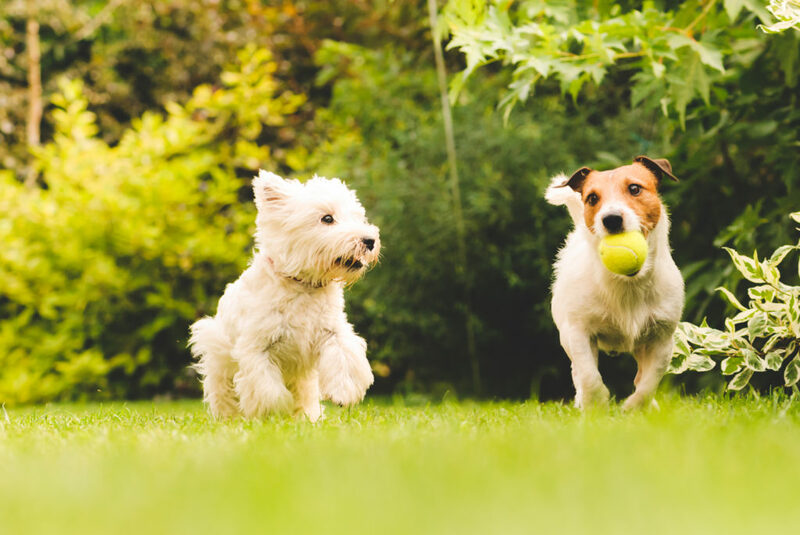 A veterinarian can also recommend topical treatments, and perhaps oral anti-inflammatory or antihistamine medications, to help ease the itching, swelling and any discomfort caused by this condition.